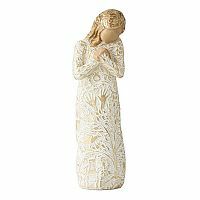 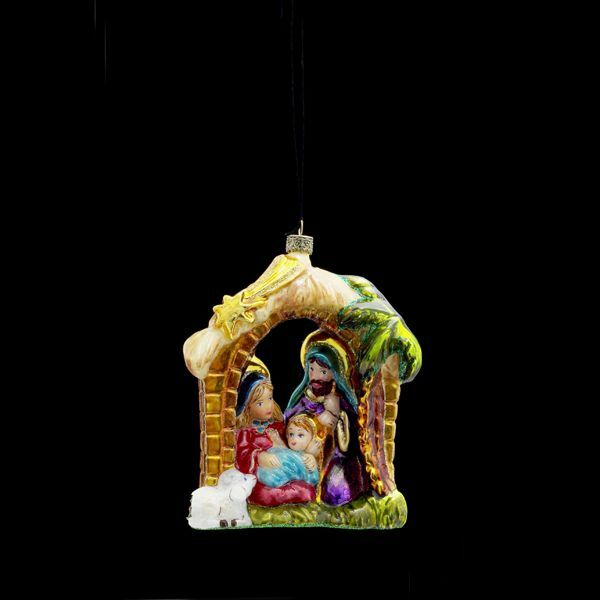 This Polonaise Nativity Scene ornament is crafted in Poland by artisans gifted in the craft of blown glass, which has been passed down from generation to generation to keep up the creation of these beautiful, intricate ornaments. 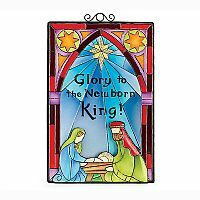 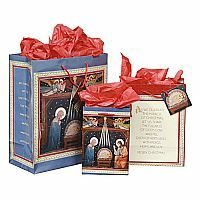 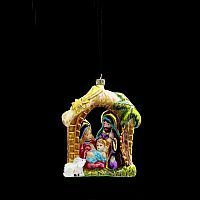 This glass ornament features the Holy Family wearing beautiful, bright colors huddled together under a straw-covered arch; also on the arch is a shooting star and palm leaves. 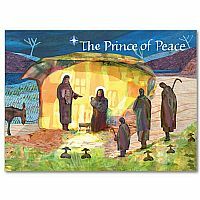 Kneeling next to the Family is a peaceful white lamb.